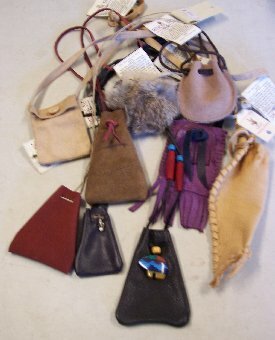 A wide variety of bags and purses are offered by Phoenix Obsidian Designs. Most of these are made by our local artists. 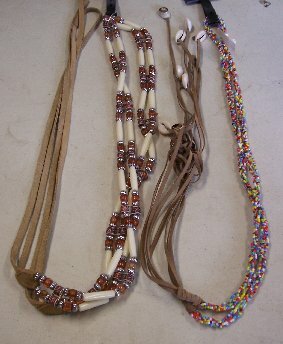 These include a number of Medicine Bags. A small number of hats and caps are made for Phoenix Obsidian Designs by our artisans. 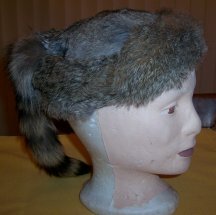 These include rabbit skin caps and classic coonskin caps. A limited number of Belts are offered by Phoenix Obsidian Designs - ranging in composition from conchos, beaded or leather. A limited number of other apparel items are offered by Phoenix Obsidian Designs - ranging from leather shirts to wooden walking sticks.